Esther’s gecko mite. Right: Arnold Sciberras and his wife Esther. 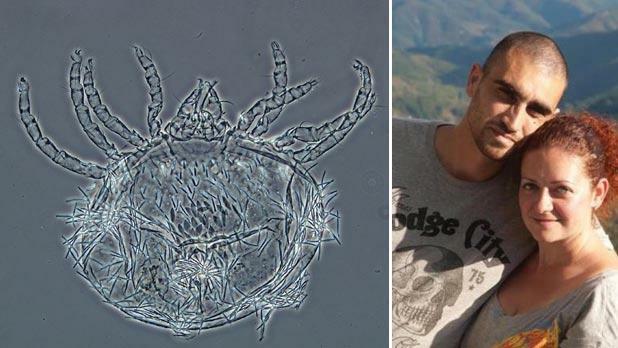 A Maltese researcher who specialises in reptiles has discovered a new species of mite unique to Malta that lives on geckos – and named it after his wife. 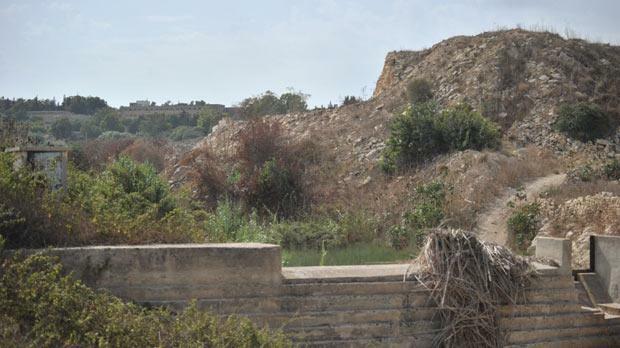 “Esther’s gecko mite, or Geckobia estherae, is new to science and it is a localised endemic mite which means it is only found in Wied is-Sewda in the limits of Qormi,” said Arnold Sciberras. The mite, a microscopic parasite, lives on the Moorish gecko – one of the two gecko species found in Malta together with the Turkish gecko. Mr Sciberras and his colleagues, researchers Michael Bertrand and Walter Pfliegler, worked on their discovery for eight years throughout which his wife Esther offered them great support. “So we felt we should name our work after her. Some people asked me why I’d named a mite after my wife, of all things. But she appreciates it. She too has a passion for nature, especially insects, and she understands what effort went behind our work,” Mr Sciberras said. “The name of the species will remain there forever. It is the only eternal gift I could ever give her,” he said adding that his wife, whom he married four years ago, has been his pillar of support throughout the 13 years they have been together. Mr Sciberras has been studying herpetofauna, the study of reptiles and amphibians, for several years. During his research into the habits of the Moorish gecko he also observed the parasites they hosted and came across a mite he had never seen before. With the help of his two research colleagues the team went through countless records of mites and discovered that they had stumbled on a new species. Their findings were recently published in the scientific journal Acarologia. While the Moorish gecko is found throughout the Mediterranean, the mite has only been spotted at Wied is-Sewda in Malta. 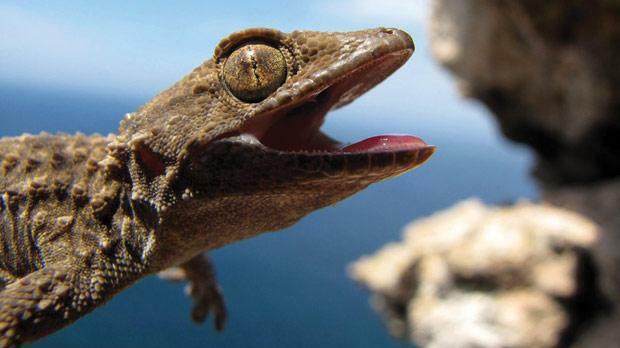 “Very little is known on the biology of this new species except that its preferred host is the Moorish gecko and its preferred part of the body of its host seems to be the forehead,” said Mr Sciberras who is the president of the Malta Herpetological Society and a committee member of Nature Trust Malta. “The importance of this is that we are under the wrong impression that Malta has nothing of the sort. But we keep discovering how rich our country really is and finding new species. So, if we destroy Wied is-Sewda, we will destroy this endemic species. “The man in the street might think it’s only a mite. But all species have value and we might not be aware of the value of this mite today. Fifty years ago we wanted to eradicate cockroaches which are now being used for cancer research,” he said.